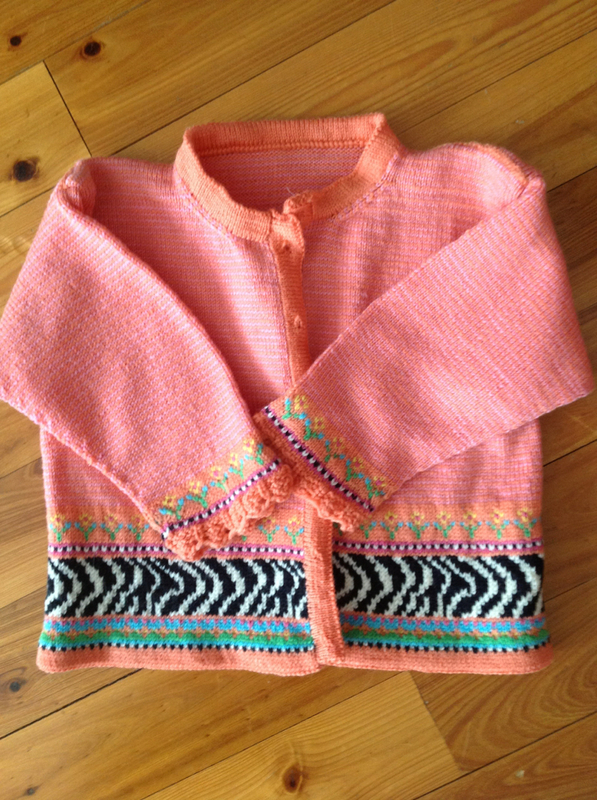 I have finished all of the main knitting for my newest baby sweater. 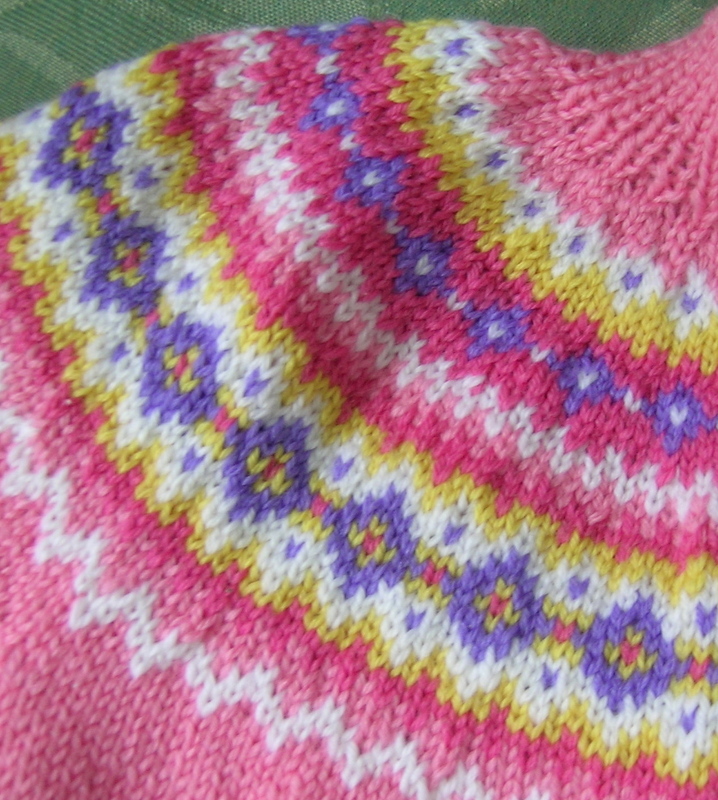 I love the colors, and this was very fun to knit. The lower part of the body and the sleeves consist of lots of plain stockinette, all done in the round so just knit, knit, knit. It was a good project when I did not want to focus on details. 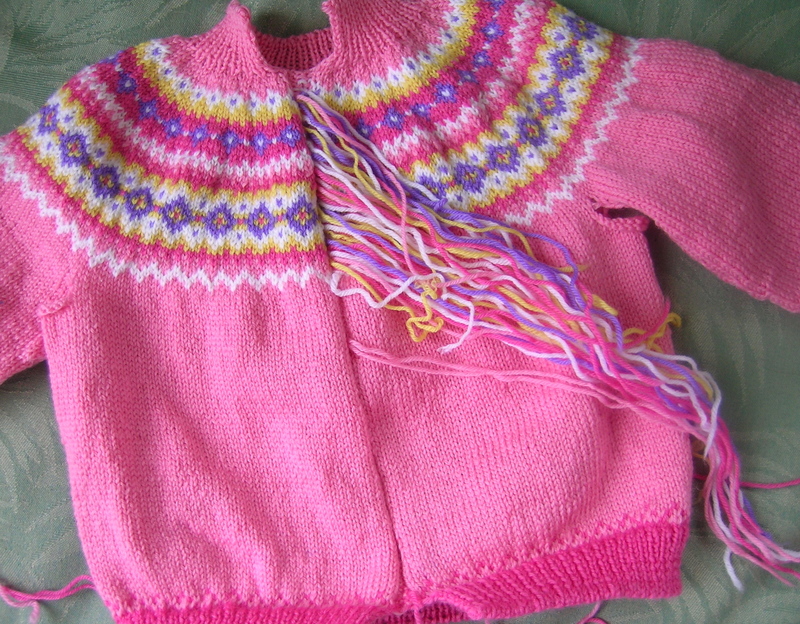 The yoke went quickly, in spite of a couple of decrease mistakes and color mistakes that I had to rip out. 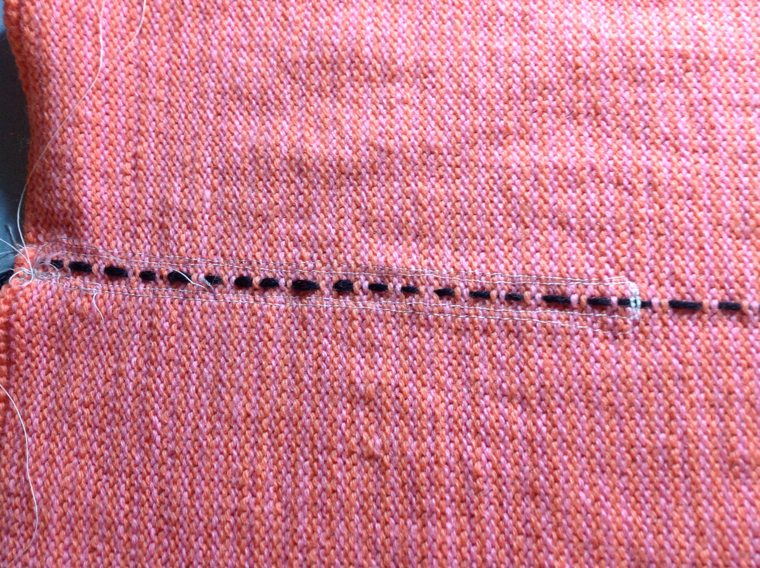 Whenever you attach the sleeves in this manner, the first few rows at the junctions are tight. 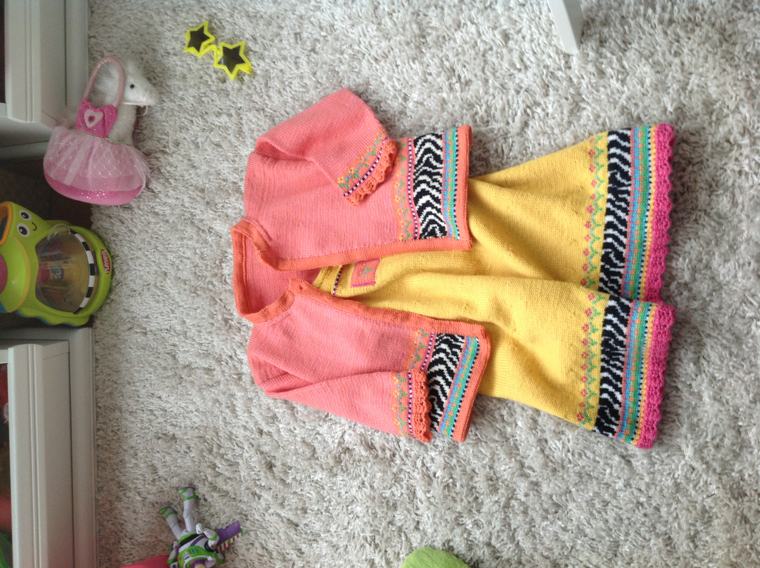 I prefer a yoked cardigan for babies, as there is not the bulk at the shoulders, and seem to fit better. 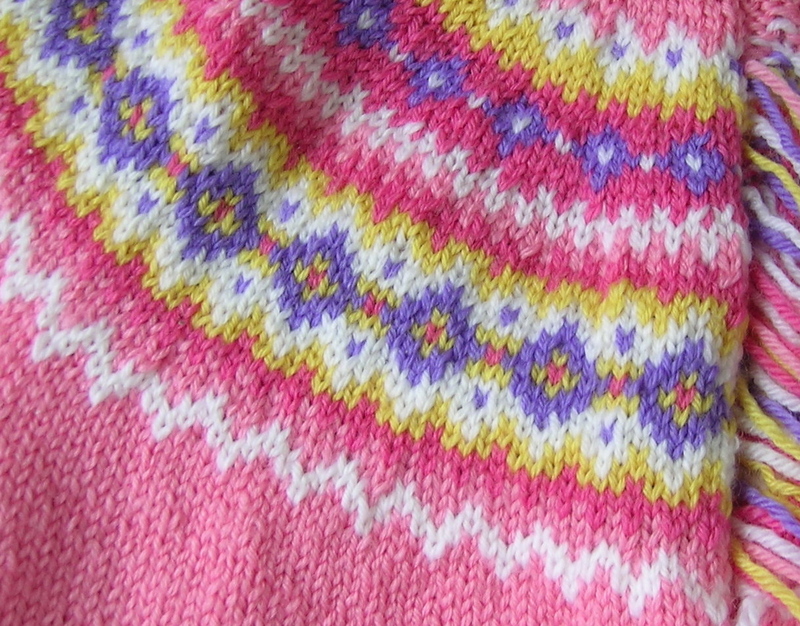 The beauty of knitting this way is that I only now have to sew and cut the steek (still a bit of a frightening process), and knit the front band. 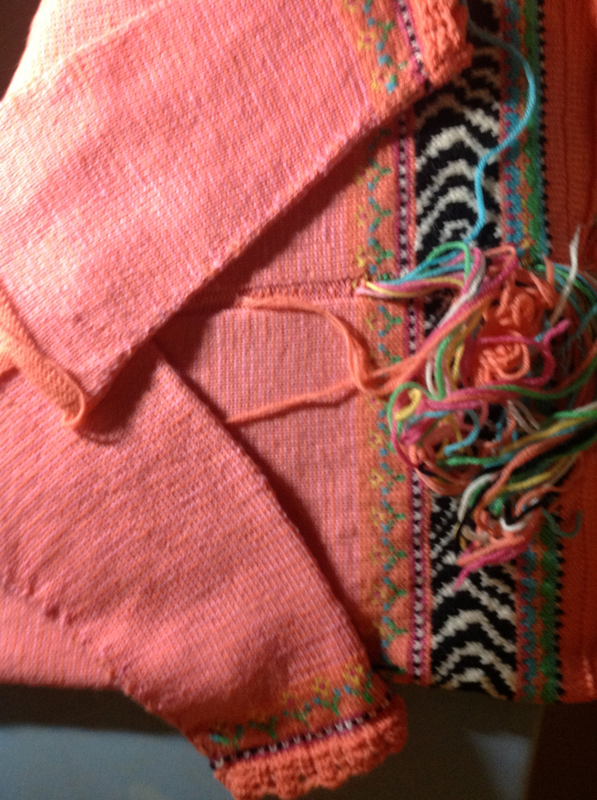 The neck ribbing was called for with a double over material. 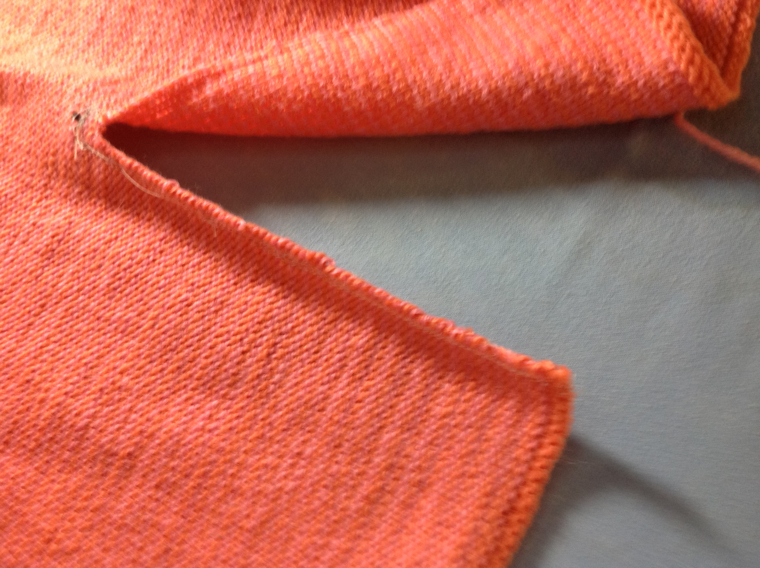 I felt that would be too thick, so chose to do a 1×1 ribbing with a tubular cast-off. 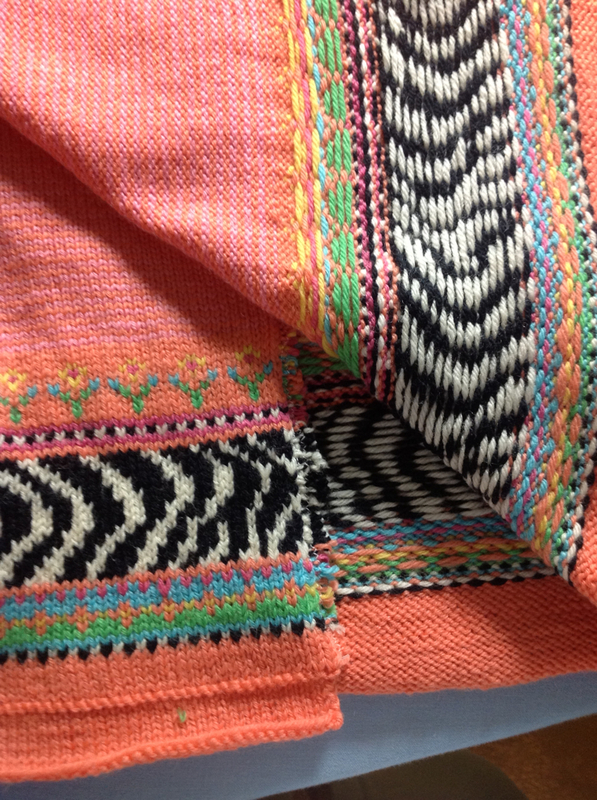 The front band is doubled over, but that serves to also cover up the cut steek. 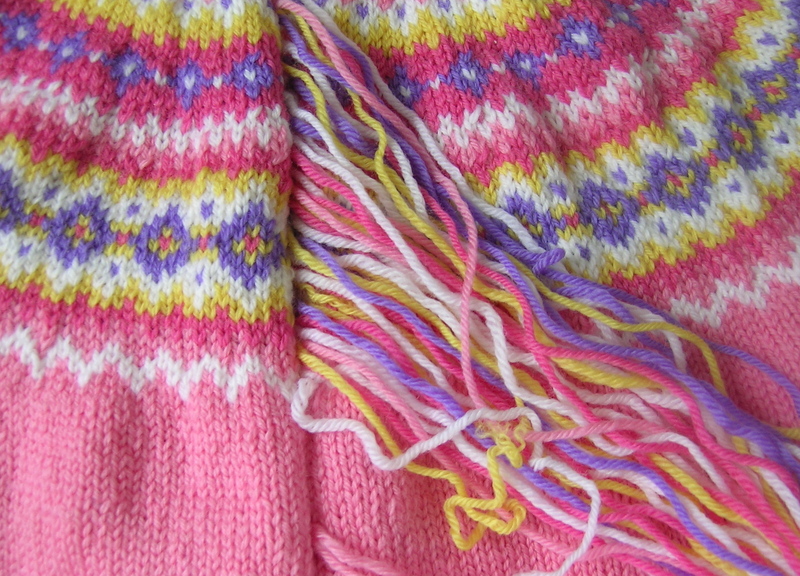 When knitting the yoke, the first couple of major rounds of decreases divided nice and evenly around the body. then it started to get more complicated. I am a bit of a nut, in that everything needs to be balanced out nicely. Decreases starting and ending equal number of stitches from the front band, and being spread out evenly throughout the body. Here are the patterns that I had to use to get my decreases, I tried to find a mathematical program that would solve this, but it is beyond me. I have given that task to my son, these I did by writing out the pattern. I found how many even number of stitches went into a decrease row, and how many remaining stitches there were. 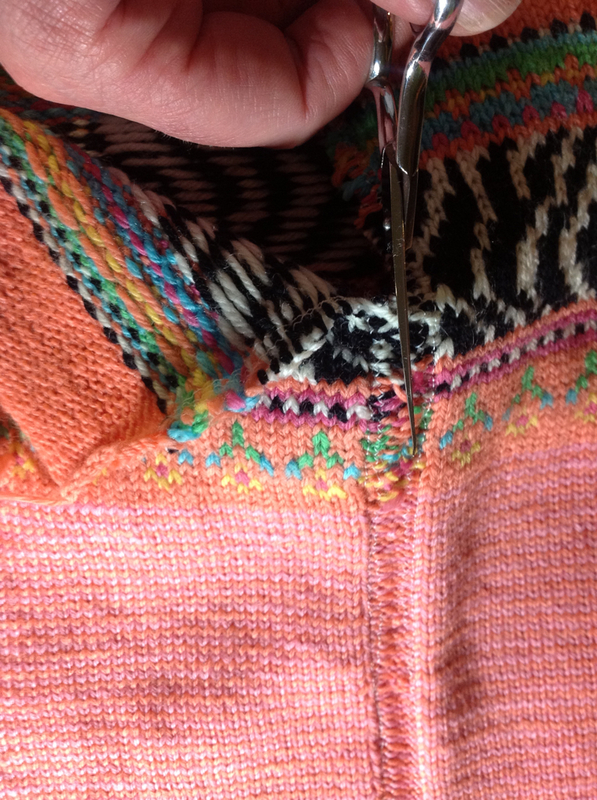 Then, I balanced out the extra decreases over a pattern in the yoke. 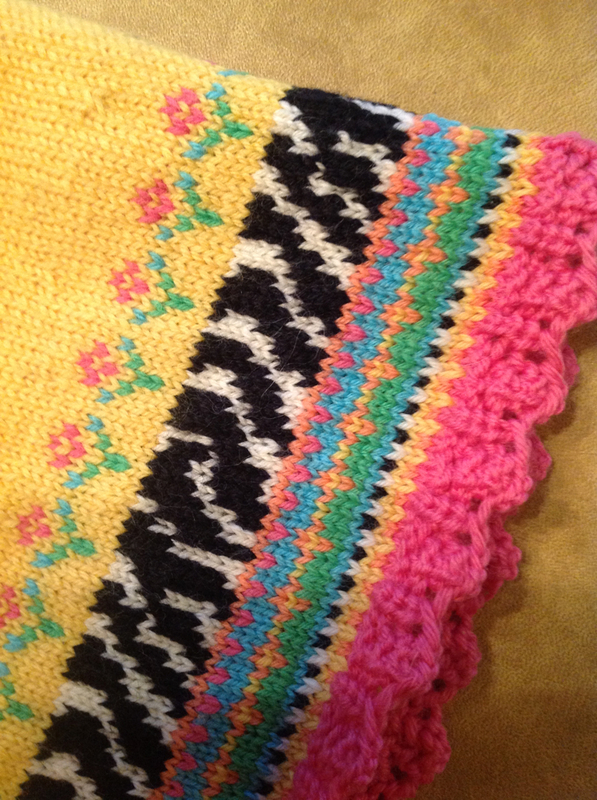 Here are my last 4 decrease patterns (each number includes the number of stitches knit + the 2 that are knit together; i.e 7= K5, K2tog — in effect 1 st less). I have that pattern but wasn’t wild about the orange. However, I LOVE your chosen colors! What size did you make and will the decreases work for only one size? Thanks. It’s adorable! Thanks, I am happy with the colors also, it took a bit of playing around with options. I made the 12 month size. The decreases as shown will only work for that. Hopefully my son will write the computer program that I need.